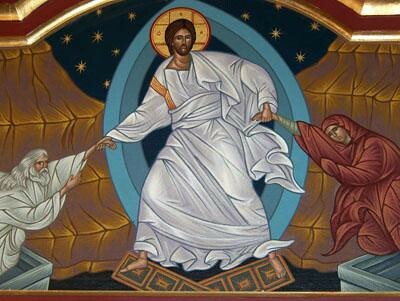 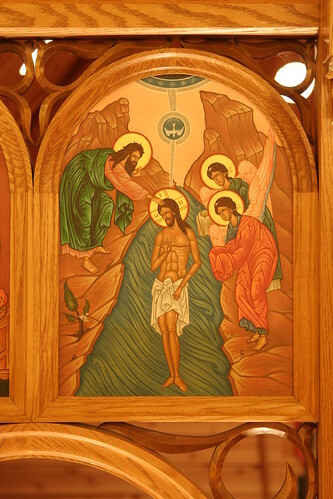 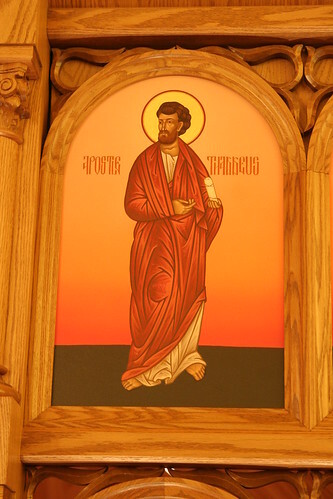 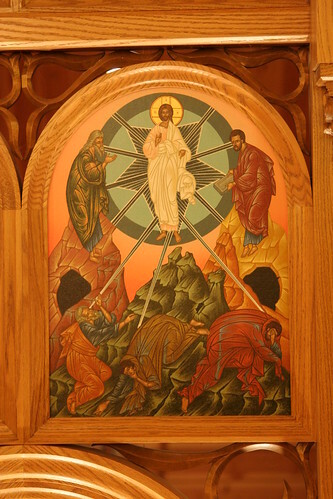 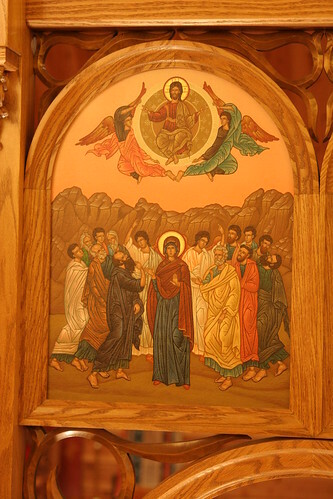 The Icon of the Resurrection of Our Lord as found on the Iconostasis in the Metropolitan's Chapel. 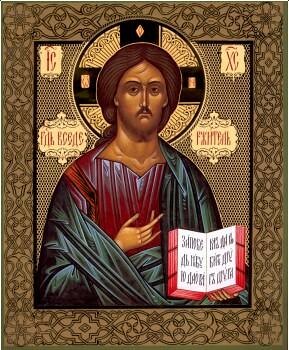 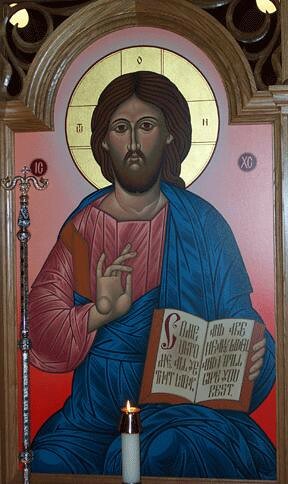 The Icon of Our Lord Jesus Christ as found on the iconostasis of Sts. 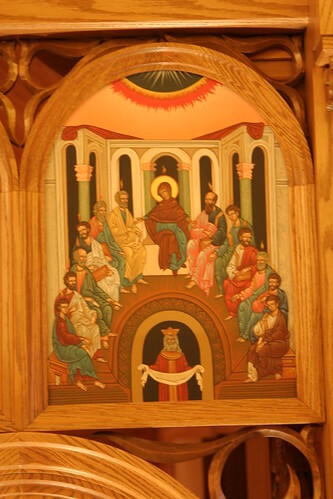 Cyril and Methodios Church, Camp Nazareth. 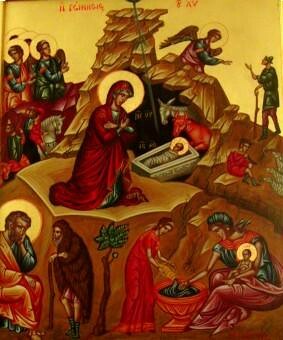 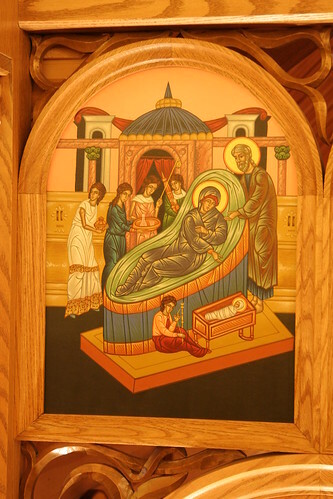 Byzantine style icon of the Nativity of Our Lord. 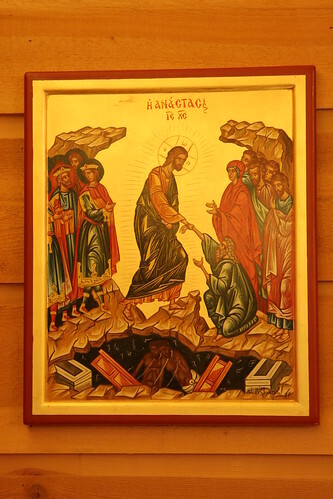 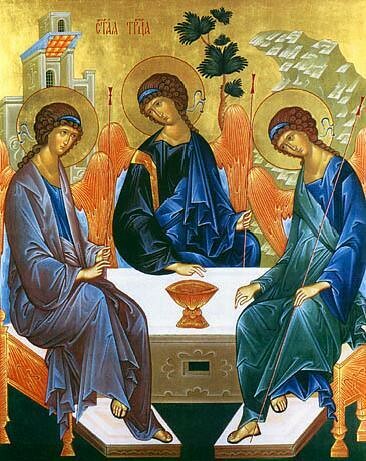 Copy of the Rublev Style Icon of the Hospitality of Abraham/ The Holy Trinity. 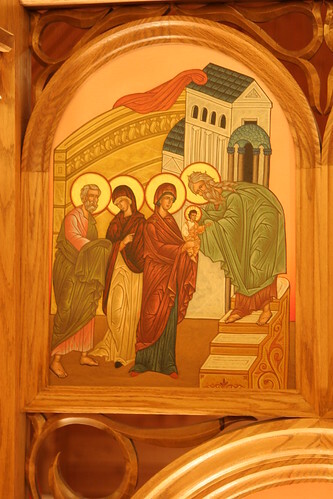 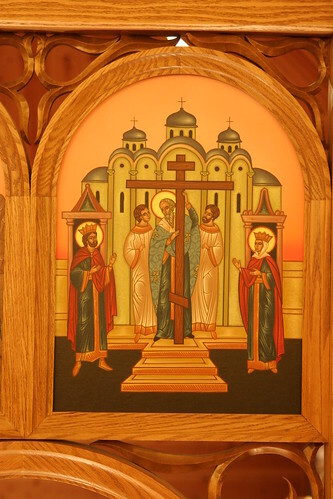 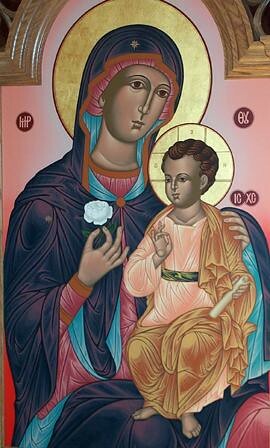 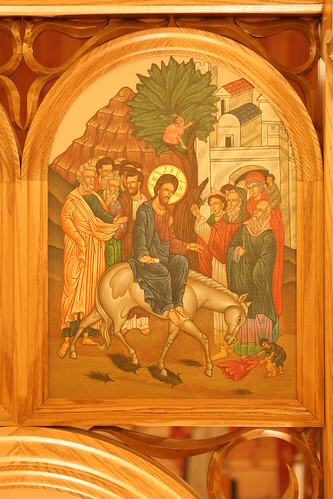 Icon of the Theotokos as depicted on the Iconostasis of Sts Cyril and Methodios Orthodox Church, Camp Nazareth. 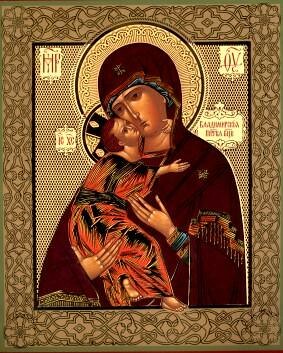 Russian style Icon of the Vladimir Mother of God. 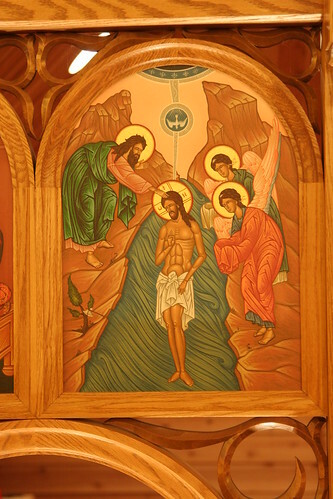 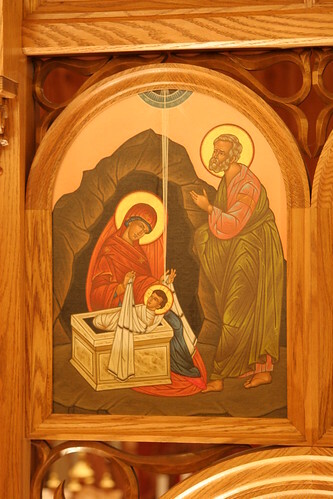 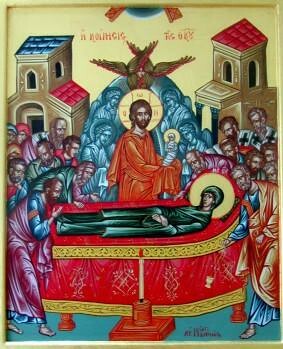 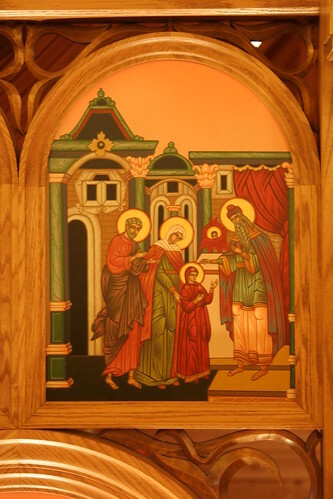 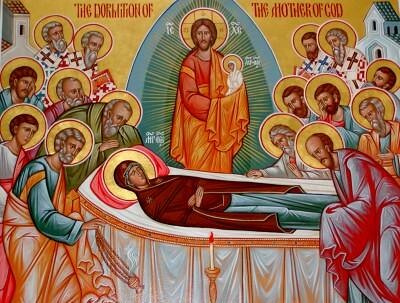 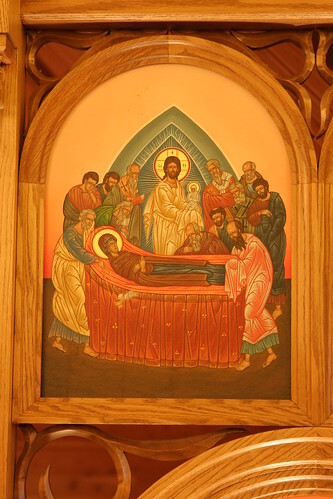 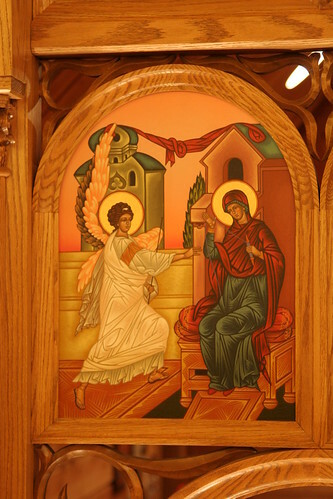 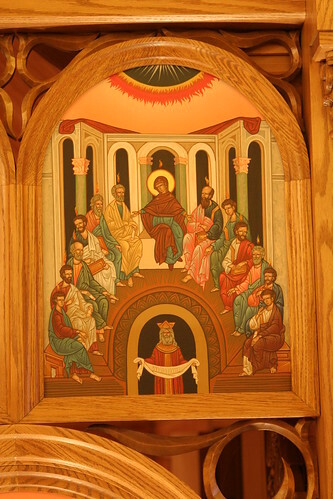 Icon of the Dormition of the Theotokos from the Vestibule of the Chancery of the American Carpatho-Russian Orthodox Diocese of the USA. 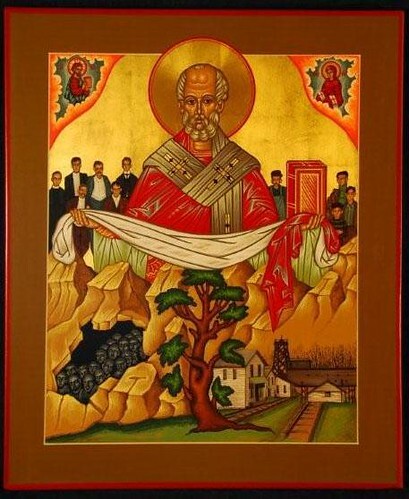 This Icon was written to commemorate the DARR mine disaster in Jacobs Creek, PA. 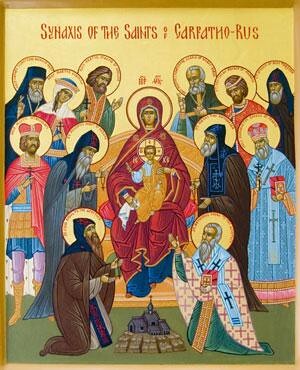 This Icon was commissioned for the Feast of All Saints of Carpatho-Rus.